In a Nutshell: Physicians spend years in classrooms and hospital rooms before they earn the right to see patients on their own. But the constant stream of red tape related to medical coding, as well as patient billing and collections, often monopolizes the time providers spend in the office at the expense of their patients’ needs. Now eMDs offers an award-winning suite of healthcare solutions, including its Revenue Cycle Management services that take on the hassle of dealing with insurance claims and collecting payments so healthcare providers can focus on their patients. The solution can be used in conjunction with eMDs Electronic Health Records software or integrated with a physician’s existing EHR software. The post-graduate time required to become a medical doctor ranges between 11 and 16 years when you factor in the completion of medical school admission requirements, medical school coursework, and the dreaded residency period. That’s a lot of sleepless nights and long study sessions. Most students go into medicine with the thought of helping patients and making the world a better — and healthier — place. They soon discover that a large chunk of their day can be spent dealing with coding, billing, and collections issues. After all, you can’t heal the world if you can’t pay your bills. Several options exist for outsourcing practice management (PM) services, but overall physician satisfaction scores with electronic health records (EHR) vendors continue to drop every quarter. An outlier in that trend, eMDs has seen a steady increase in its satisfaction scores for nearly two straight years. Based in Austin, Texas, eMDs provides outsourcing services for both EHR and RCM that work through a virtual private network (VPN) that meets HIPAA requirements and makes typical office tasks easier. The services can be bundled together or acquired separately, depending on the client’s needs. Liter said the first step eMDs takes toward helping a provider get paid is to make sure the patient shows up for their appointment. To make that happen, eMDs sends auto-remind notifications to patients leading up to his or her appointment date to decrease the odds of a no-show. 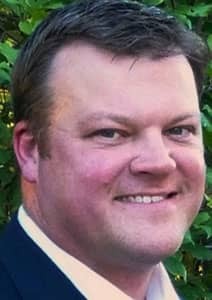 Michael Liter is eMDs’ VP of Revenue Cycle Management services. “We make sure we’re engaging the patient through multiple avenues so they show up for their appointment,” he said. Once the patient checks in for the appointment, eMDs RCM system goes to work before services are rendered. The work eMDs puts into a claim before the patient leaves the offices helps mitigate the risks of denied payments and helps the company achieve a 99% first-pass acceptance rate. Once the claim reaches the clearinghouse, the second level of verification gives eMDs a high assurance the claim will be paid. From there, the claim is filed with the payer. If by some chance the payer denies the claim, eMDs Denial Mitigation Agents work to resolve any issues. Throughout the process, the RCM team regularly checks automatic payments from insurance carriers to monitor against the contractual compliance and make sure providers get paid the proper amount for services rendered. eMDs’ award-winning EHR software suite can work as a standalone product or integrate with its RCM solutions for a bundled package. The company can also run its RCM product with clients’ existing EHR software on the institutional or professional side. That flexibility in service helps eMDs consistently improve its customer satisfaction ratings. “If a client wants to use their EHR and PM, and it’s not one of the platforms we currently support, we’ll work with them to get the integration from API calls with our proprietary denial workflow solution,” Liter said. “They have full visibility as if there was someone sitting right next to them in the office doing the work for them,” Liter said. Physicians don’t spend over a decade completing their post-graduate studies so they can chase down payments and track insurance claims. With the US already working its way through a troubling physician shortage, practicing healthcare providers need to spend more time curing than they do coding. 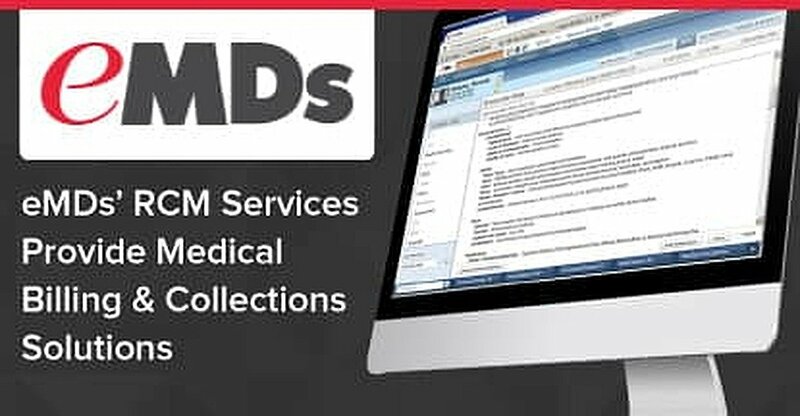 To help in the process, eMDs offers a revenue cycle management service that helps manage and improve revenue streams while dealing with tricky HIPAA laws that closely guard patient records. eMDs takes security seriously and makes it clear to clients from the start that no confidentiality issues are at risk through their partnership. Fees for eMDs solutions vary depending on the services used and the patient volume. RCM services are billed as a percent of the client’s net collections, minus any refunds being disbursed to patients. Bundling RCM and EHR software results in a low monthly fee per provider that covers the software costs and its hosting.